For more than two decades, the Tenement Museum has fulfilled its mission to make tangible the profound role immigration plays in shaping American identity. The museum forges powerful emotional connections between visitors and immigrants past and present, and unforgettably evokes the history of immigration on Manhattan’s Lower East Side, America’s iconic immigrant neighborhood. 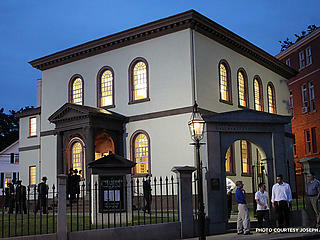 Two historic tenements on Orchard Street, home to an estimated 15,000 people from more than 20 nations between 1863 and 2000, represent the heart of the museum. Visitors view restored apartments and retail spaces in the buildings, explore the surrounding neighborhood's history and culture, and experience how immigrants weathered hard times and built new lives. National Trust individual adult members receive 50% off regular admission. All other member types receive 50% off for two adults and all children under 18 years of age in the immediate family. 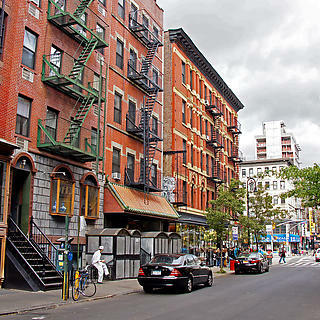 The Tenement Museum’s core programming includes more than 12 different tours of 97 Orchard Street and the Lower East Side that vividly convey immigrant experiences. Personal stories of immigrant families allow visitors to encounter immigration as an essential force in shaping this country and to absorb how much our open society, democratic institutions, cultural creativity, and economic vitality owe to our experience as a nation of immigrants. In its recently acquired tenement at 103 Orchard Street, the Tenement Museum is recreating the homes of Holocaust survivors, Puerto Rican migrants, and Chinese immigrants. 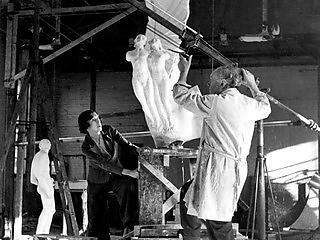 This expansion will enable the Museum to explore the end of the quota system and the nation’s return to historic American ideals in admitting immigrants. 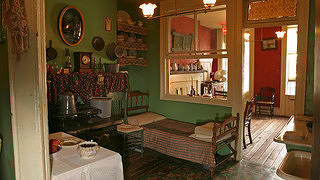 The Tenement Museum is an affiliate site of the National Trust for Historic Preservation. 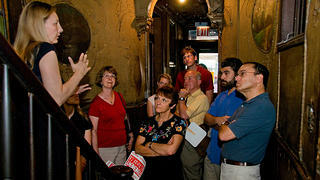 The Tenement Museum is also a member of the National Trust's Distinctive Destinations program. photo by: Alan Batt, 2006. The apartments recreate the lives of the many immigrant families that occupied them. 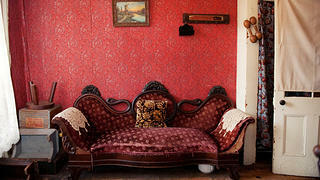 Inside 97 Orchard, visitors take guided tours of apartments that recreate immigrant life in the 19th and 20th centuries. 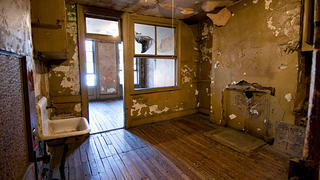 The "Instructive Ruin" Apartment lets visitors explore the decay that has occurred to historical tenement houses.